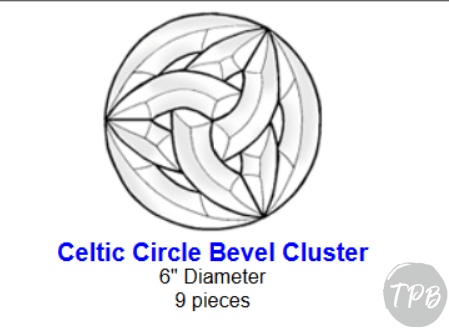 Our March glass class is a gorgeous Celtic Cluster and will be accented with colored glass globs. It measures 6 inches in diameter. You’ll be instructed through every step with lots of 1:1 attention. We will be using a glass grinder and soldering iron. Safety goggles will be provided. Classes held at 6pm and 7:3opm. Seating is limited, so register early. Pre-payment is required.